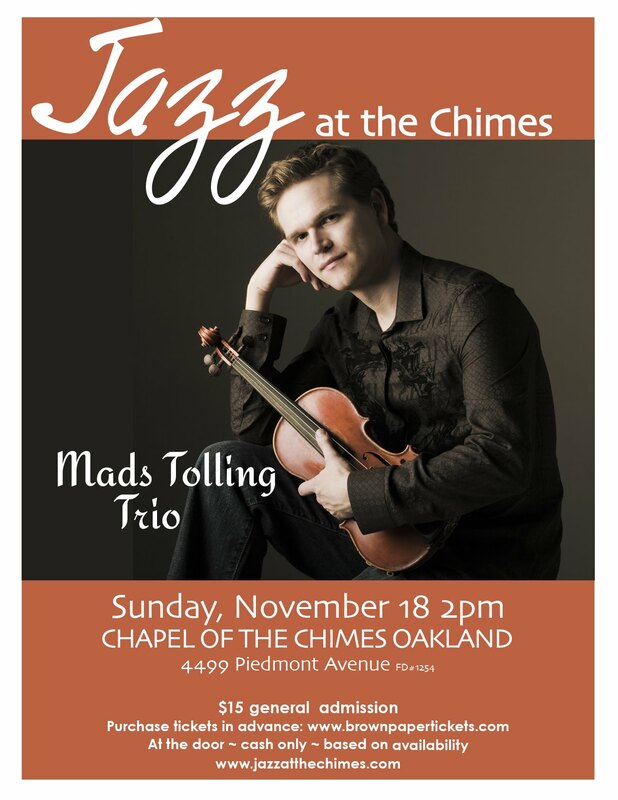 Jazz at the Chimes is an independently produced concert series that features Bay Area musicians. Concerts are held in the stunning architectural landmark Chimes Chapel, designed by Julia Morgan at the turn of the 20th century. The chapel provides a stunning visual backdrop and wonderful acoustic listening venue for live music. The series is sponsored by Chapel of the Chimes located at 4499 Piedmont Avenue, Oakland, CA. Mads Tolling "Georgia on My Mind"